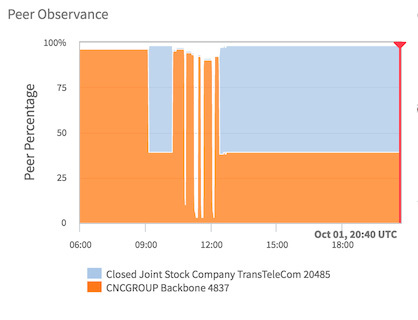 After this report was published, TransTeleCom issued a brief statement that didn’t directly address the link but didn’t dispute it. “TransTeleCom (TTK) has historically had a connection to the communication network of North Korea under the agreement with Korea Posts and Telecommunications Corp, which was signed in 2009,” it said. The new link comes at an interesting time. On Saturday, The Washington Post reported that US Cyber Command has been carrying out denial of service attacks against North Korean hackers affiliated with the Reconnaissance General Bureau. The attacks attempt to overwhelm their computers and the Internet connection with traffic making them slow or impossible to use. The US cyber attack was due to end on Saturday, reported the Post. That means the new Russian connection went online just after the US Cyber Command attack ended. TransTeleCom, or TTK, is one of Russia’s biggest telecommunications companies and a subsidiary of the Russian railway operator. Fiber optic lines are laid alongside the railway and, according to a map on its website, on a route from Vladivostok right up to the North Korean border. A map of the TTK network shows a link running right up to the North Korean border. 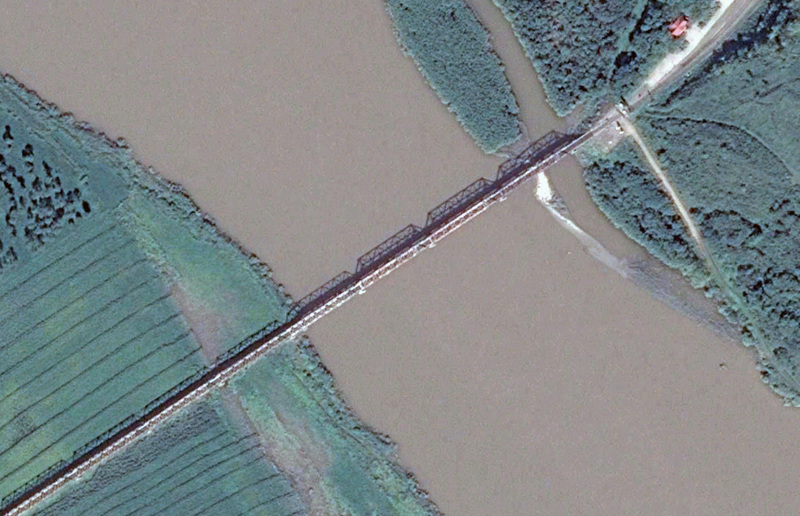 That’s presumably at the Friendship Bridge, a railway crossing over the Tumen River that connects Khasan in Russia with Tumangang in North Korea. It’s the only connection between the two countries. The Friendship Bridge connecting Russia (right) and North Korea (left). Photo: GoogleEarth. This isn’t the first time North Korea has had alternate routes for Internet connectivity. From 2012 for about a year, a second link to Star JV existed via Intelsat, an international satellite telecommunications operator, but in recent years the Chinese link has been the sole connection to Star JV. Relying on one Internet provider has always left North Korea in a precarious situation. More than once the link has been the target of denial of service attacks. Most were claimed by the “Anonymous” hacking collective, but on at least one previous occasion, many wondered if US intelligence services had carried out the action. North Korea has few Internet users, but access to the network is available at major universities, to foreigners via smartphone, at government departments and major companies. Elite families are also suspected of having access. The cyber units of North Korea’s military also enjoy access. The link is also vital for overseas researchers and academics who rely on access to North Korean state media websites for information.